Nearly perfect. That’s the easiest way to describe this flashlight. A few years ago an electrician I work with from time to time pulled this out of his tool bag, he could’ve elicited the same reaction from me if he pulled out a lightsaber. 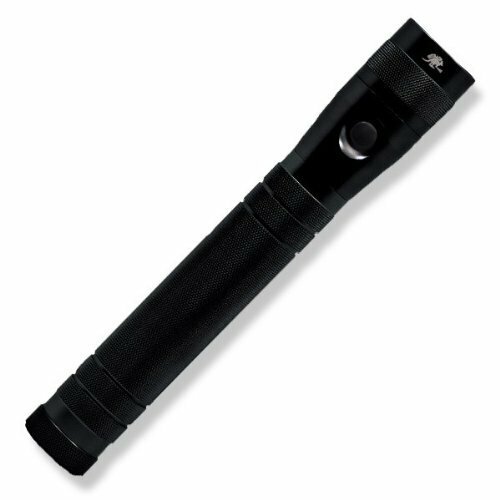 The Outback Big Stick is the light you can replace your trusty Maglite with (even if you have a new LED Maglite). I remember loving those nights (dad didn’t he preferred to see what he was working on). When you point this light towards the sky it looks like you actually have an underpowered searchlight. Which brings me to the main drawback of the Big Stick. It is fixed focus, sure it’s very bright and can light up the other end of a football field, but if you’re working on anything in close proximity to the light, you’ll wish you could widen the beam. It’s body is very solid and has survived many drops, they also claim its water resistant. I haven’t used it in anything beyond some rain. Final thoughts, this light will get you through about anything. I haven’t tested it in a zombie apocalypse, but it’s probably the light I would want with me (unless the zombies were already really close). I paid twice as much for it, I wouldn’t blink at buying another at the lowered price.